It excites me to think that not only are we making a difference in a single patient’s life, but also impacting global health care that patients, families and colleagues can benefit from. Suzanne Staples, MBChB, is a devoted medical doctor and currently full time investigator and Principal Investigator at THINK. She became heavily exposed to the reality of the TB and HIV epidemics from working in hospitals in various parts of the country, eventually ending up in Durban at the Medical Department of McCord Mission Hospital. There she became involved in clinical research with KwaZulu-Natal Research Institute for Tuberculosis and HIV (K-RITH) and from 2013 with THINK. 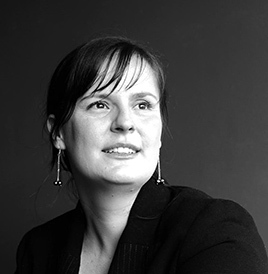 Dr Suzanne Staples is a medical doctor and Principal Investigator at THINK: TB and HIV Investigative Network. After completing her Medical degree at the University of the Free State in 2008, she was exposed to the persistent large-scale impact of Tuberculosis (TB) and HIV on her patients through her clinical work. This made Dr Staples decide to dedicate her medical career to the improvement of care for these patients. She was able to fulfill this passion by getting involved in TB research early on. She started doing clinical research in 2012 and quickly worked herself up in the field to Principal Investigator, doing global clinical TB trials, at THINK. Wanting to understand the communities she works in better and the impact of her research, she pursued a Masters’ degree to explore this further. She completed an MPhil. In Transdisciplinary Health and Development studies from Stellenbosch University in 2017. In 2017, Dr Staples was selected as a candidate for a 1-year EDCTP-WHO fellowship, funded by the European union, to strengthen the research capabilities in Africa, by placing African scientists at European institutes. She has completed the fellowship and is busy with her reintegration projects, one which is to start up an African Research Network.